The Bible may say your body is a temple, and John Mayer may say your body is a wonderland, but now your body may be a cash cow, too. A recent Bloomberg report shows that hair, breast milk and fertile eggs are now hot commodities for sale on the Internet. Low-income people tend to sell their body parts to wealthy buyers. 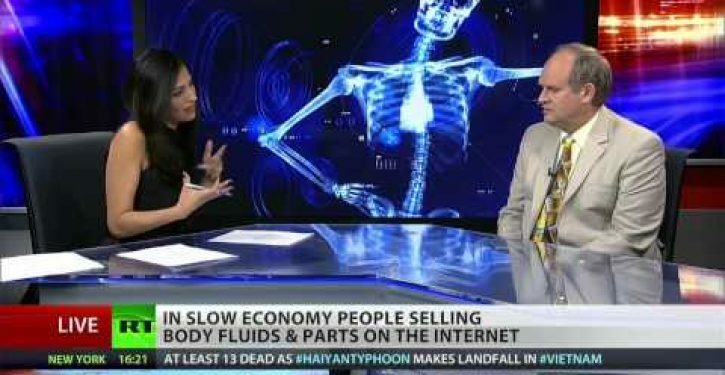 RT’s Ameera David talks with Robin Hanson, associate professor of economics at George Mason University, about the going rate for various body fluids, tissues and parts, as well as the ethical and legal implications of these online sales.